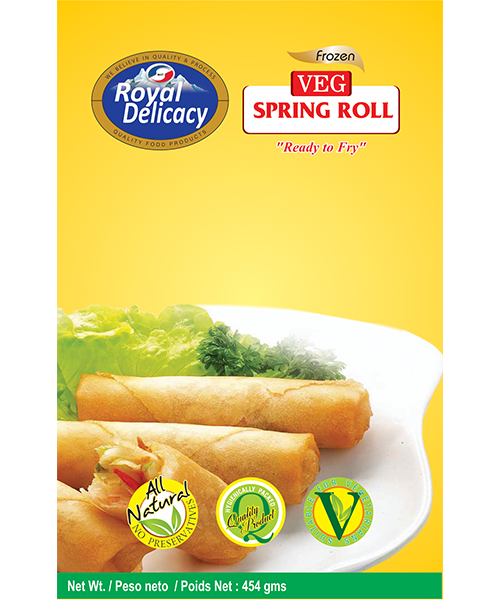 This is to declare that the Vegetable Spring Roll is prepared by the following procedure. All the vegetables are peeling and washing them with clean water and cut it into thin long pieces and boiled the vegetables with masalas and salt until Soft. Rice noodles also semi-cooked. Then take a leaf of Veg. Spring Roll put the subji into one end of the leaf and fold the two side and roll it. Then pre-cool the product before blast freeze at -32 °C and pack and stored at – 18 °C. The procedure is carried out so as to assure that the product is free from any type of contamination.